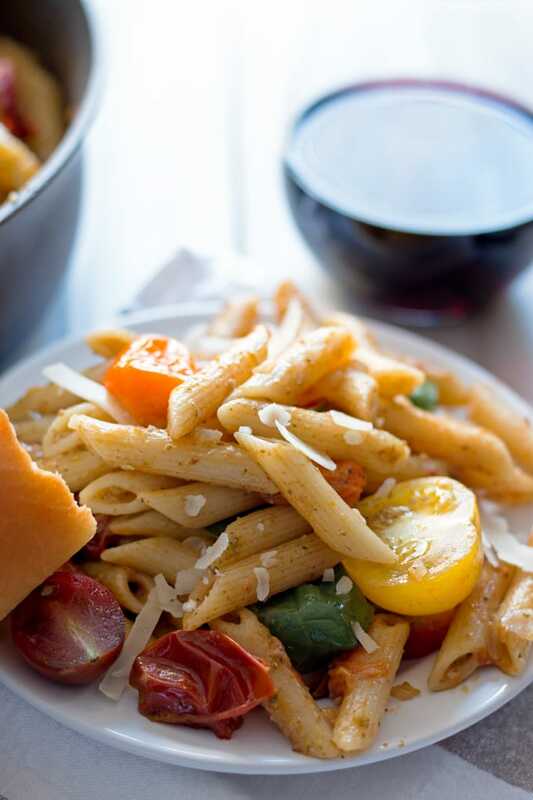 One Pot tomato pesto pasta – 30 minute dinners are my favorite kind of dinners. 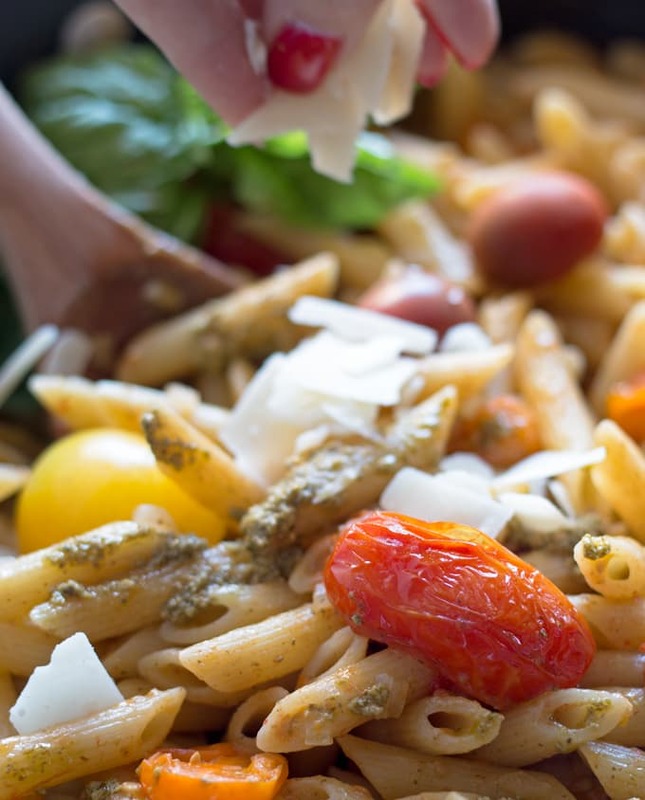 Use store bought or homemade pesto, cherry tomatoes and shaved parmesan cheese to create this flavorful and easy pasta dinner! I have been eating nothing but cookies and sweets for the last two weeks. Okay, I may be exagerating a little bit. But just a little. If you scan through my Instagram feed from the last week or so, you will see desserts. Lots and lots of desserts. Actually, I have posted quite a few dessert recipes here too. Tis the season, right? Well, you have to eat more than dessert (please forgive me for the two days I had cookies for breakfast) so time to get cooking. If you are like me during the holidays, you are busy. Between holiday parties, visiting with friends and shopping and wrapping presents, there isn’t much time left to each day. This one of the reasons I depend on one pot pasta dishes. 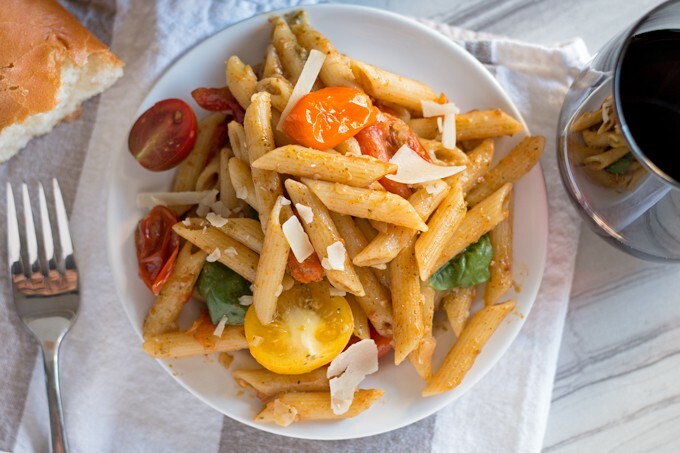 This one pot tomato pesto pasta recipe is at the top of my list for the winter. We eat so badly so many days during the holidays – its really nice to take a break from “celebrating” and eat something lighter. You can use store bought pesto or make your own. We used a thick basil pesto I found at the store for this recipe because I unfortunately used up all of my frozen basil already. Note to self, next summer make more pesto. Colorful cherry or grape tomatoes are my tomatoes of choice – feel free to use your favorite. Though if you don’t like the colorful tomatoes, I don’t think we can be friends (just kidding…maybe). And the parmesan. I have a newfound obsession with freshly shaved parmesan but if you decide to use grated parmesan, only use a little bit. I really like the way the pesto and parmesan compliment each other but parmesan can easily overwhelm this pasta. Serve this pasta with some red wine and a salad. Or … some bread. Cause I like my carbs. Mr. B likes his protein so he always adds a chicken breast when I make this. Easy peasy, both of us are pleased with dinner. 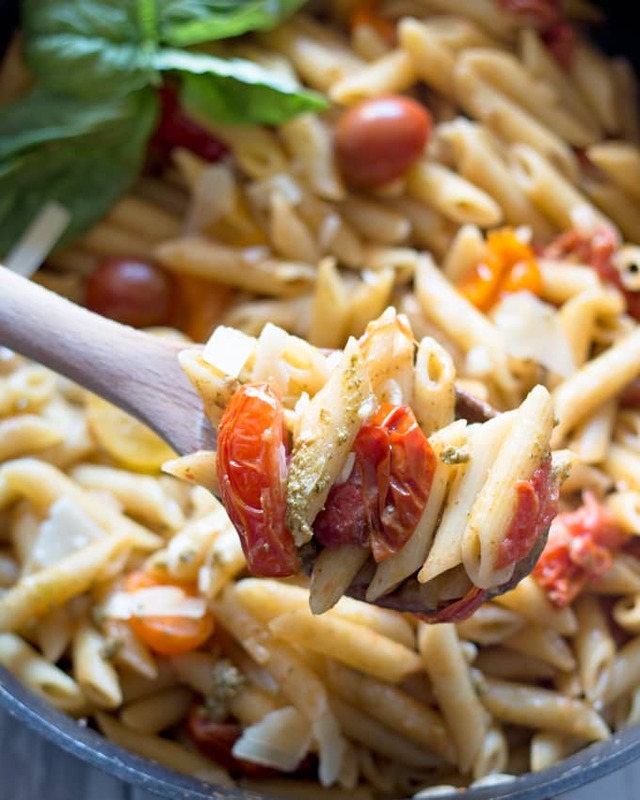 One Pot tomato pesto pasta - use pesto, cherry tomatoes and shaved parmesan cheese to create this flavorful and easy 30 minute dinner! In a large pan, heat the extra virgin olive oil over medium high heat. When the oil is hot, add the onion and garlic and sauté until the onion is translucent. Add the penne, chicken broth and cherry tomatoes. Stir and bring the liquid to a boil, then cook for 10 minutes. Occasionally stir and make sure the noodles are covered with the liquid. When the noodles are firm, but cooked, add the pesto. Stir to combine and heat for an additional minute. Remove from heat and sprinkle the parmesan on top before serving. Pasta will be cooked to al dente. If you would like a less firm pasta, add an additional 1/2 cup of broth or water and cook for an additional 2 minutes. Jenny, yes, sign me up for a big plate of that tonight! That and a nice glass of wine, and I’ll be soooo happy! Yum, this looks delicious! Nothing better than a one-pot meal in my opinion! Sharing it on my twitter! Thanks for the share Jody! I wish I have all these items on hand tonight for dinner! Yummy! I would love this for dinner tonight. Those fresh tomatoes look perfect on the pasta. Oh how good does THAT look! I am all over this easy dinner. 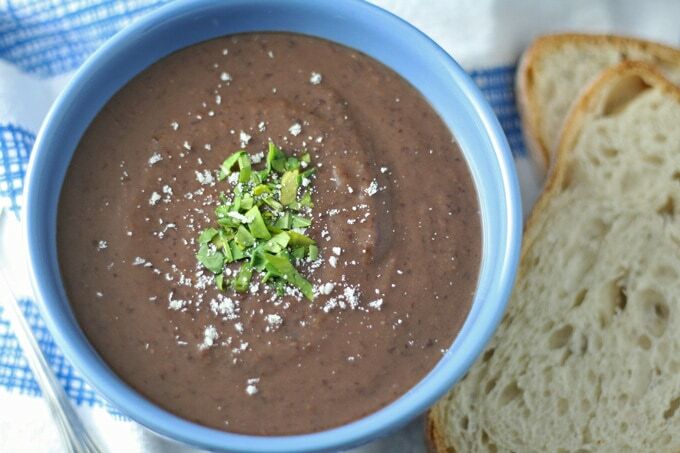 This looks like the perfect meal, quick, easy and delicious. I’ve been eating way too many cookies lately too – all the sampling to make sure I’ve got the recipes right ;). A great bowl of Tomato Pesto Pasta would bring it all in balance. 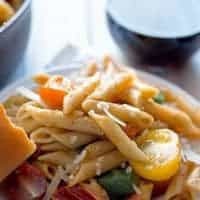 Such a simple and delicious one pot pasta meal. I love it! 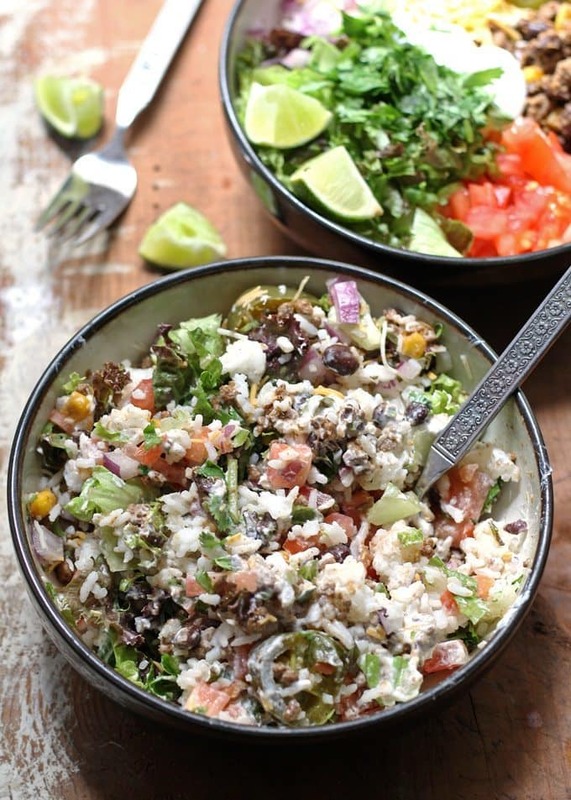 I love one pot meals and when they are delicious like this one, I’m in heaven. This looks absolutely AMAZING!! I love one pot wonders.